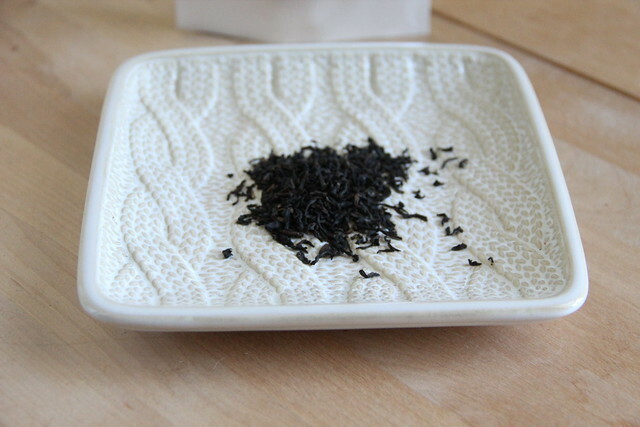 Several months ago I ordered an Earl Grey Creme Vanilla from Upton Tea (review here). I shared some with my friend Ana and she suggested that we do a comparison of as many Earl Grey Vanilla Creme teas as we could get our hands on. What follows is a list of what we sipped, in order of our preference. 1. Upton Tea, Season’s Pick Earl Grey Creme Vanilla – full review here. This was hands down our favorite tea of the ones we tried. 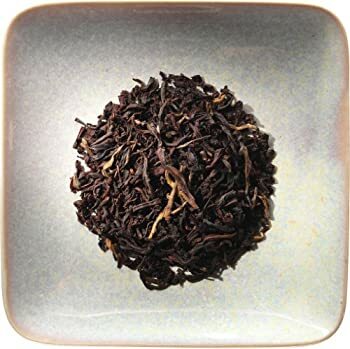 Sweet and creamy, it really elevated Earl Grey to a new level. I had ordered this one, curious as to what it tasted like. As soon as I sampled it I brought the bag to Ana and she loved it too. 2. Teavana, Earl Grey Creme Black Tea – This one tasted like a good strong black tea, just with subtle notes of bergamot and vanilla. This is probably the best choice if you’re not a huge Earl Grey fan, as it’s very mild and a great afternoon tea with just a hint of something different. This was definitely a strong second in the tea wars. 3. Adagio Teas, Earl Grey Moonlight – The Adagio version included orange peels which I thought made for a delicious addition to the tea, however though it advertised a creme and vanilla flavor, I didn’t taste that. I think I’d prefer this blend for a strong cup of afternoon tea, but it doesn’t quite fit what I was looking for in an Earl Grey Cream. 4. 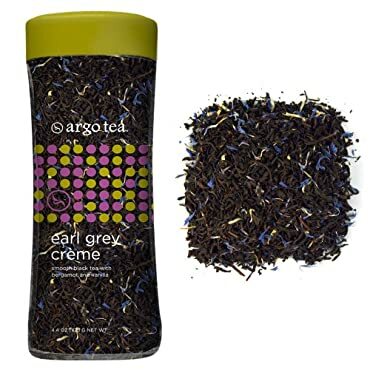 Argo Earl Grey Creme – Prior to brewing I didn’t get much in the way of vanilla flavoring, but once brewed the vanilla scent was delicious. The black tea wasn’t super strong – on the whole this was a very mildly flavored tea. 5. Stash Teas, Vanilla Earl Grey Black Tea – I missed the vanilla in this one, but it was a delicious Earl Grey. It also boasted a hazelnut flavor on the package that I didn’t get. Again, a good Earl Grey, but not what I was looking for. 6. 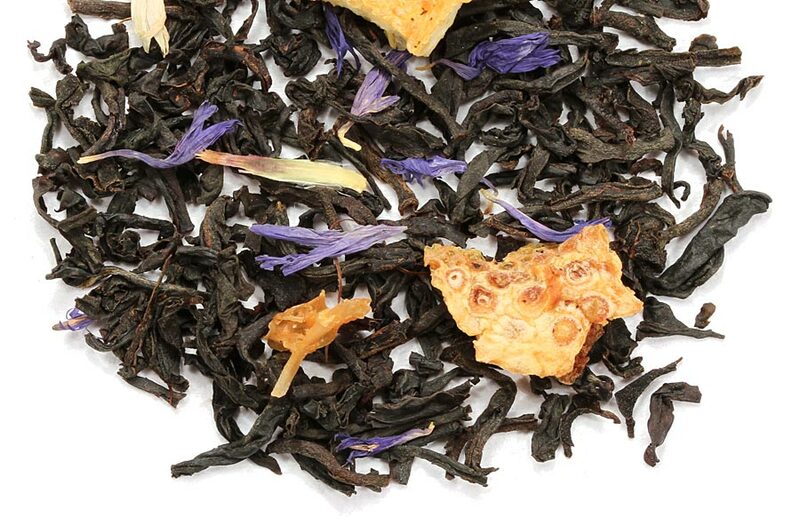 Tea Market, Earl Grey de le Creme – This is labeled as a “Lady Grey” – black tea with Bergamot and lavender. I definitely smelled the lavender when I opened the package. This tea was ok. It tasted more like a regular Earl Grey; I didn’t get a taste of creme at all. I’m also not a big lavender fan so it wasn’t for me. However, if you’re looking for an Earl Grey with a bit of lavender, I think you’d like this one. 7. David’s Tea, Organic Cream of Earl Grey – This one had a very fragrant bergamot smell, but also nice traces of vanilla. Ana thought she detected something in the aftertaste that she didn’t like. I wondered if the cornflowers or marigolds added something extra to the fragrance and taste that I didn’t taste in many of the other blends. Overall, this one didn’t get very high on our list. I’d love to hear from you if I’ve missed your favorite brand of tea. Next up….. Chai wars? David’s Tea was the one that had Red Vines aftertaste! Blech!